The late, great John Updike once remarked that “Fame is a mask that eats into the face”. The wisdom of this aphorism echoed in my head as I walked into the subterranean rooms of the National Gallery’s Sainsbury Wing. The convergence of fame, masks and faces is a heady one as this show investigates these three elements in a metaphorical sense. The very first room, entitled Self-Portrait, inspired the vivid realisation that it is well nigh impossible in the First world to view Picasso’s work without preconceptions about his fame. Picasso adopts a mask, whether it be Cubist, Classical or (self) mythological - when “acting out” his “variations” (his word) of the art of his “Masters”. Ultimately, even though Room 5, dedicated to Still Life argues the toss, in Picasso the face is the template for everything that is human, and everything that is human interests him. His face is immediately recognisable - often not the case with the parade of his muses/mistresses/models. 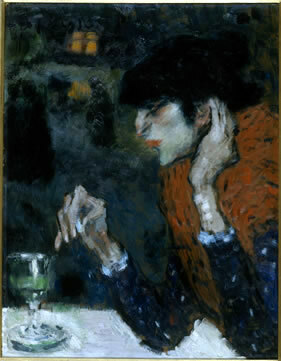 The Paris show, called “Picasso and the Masters”, placed his work side by side with the original work of his great mentors. The National’s title is appropriate for what we get in London and is not diminished in my mind by Picasso’s work standing on its own. We are given far more room for our recollection of the Great Masters. Picasso’s often fascinatingly “false” memories are given air and space. His way of altering the significance of the painting he admires is most compelling. There are small reproductions of works by the Masters to “compare” with Picasso’s versions. These seem almost like afterthoughts and are so small as to seem perfunctory. Picasso’s vulnerability to the inherently toxic element of fame seems to have been minimal. Before even looking at the art itself one finds oneself thinking about the artist himself. The energy bounces off the walls like a hyper-active toddler. One asks oneself; what must it be like to be interested in everything one does and know that everyone else will feel the same way? Knowing that one will sell everything one produces is a real test of artistic ethics. Picasso, notoriously long-lived, never wanted for a subject. All he had to do was look backwards, and this show splendidly shows us where he looked and what he did with the object of his curiosity. Controversially staged in these august rooms - more usually the showplace for the canon, the universally acknowledged “great masters” - Picasso’s work looks completely at ease in the National’s Sainsbury Wing rooms, which have never looked so good or so luminous. The National seems quite proud of this coup, and even a tad defensive about it (should it be on the other side of the river? 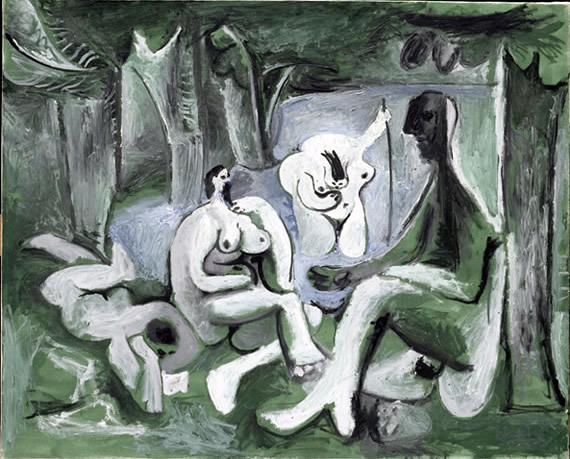 ), but the choice to show Picasso for the first time in the National is entirely coherent. Sixty paintings, many seminal in the huge oeuvre of this most protean of men, tell a story that makes great sense. No artist emerges out of the great Nowhere. The history of art is a circus act with each artist balanced on the shoulders of their predecessors. We do not emerge from seeing how Picasso channelled, cannibalised, chewed up and spat out his artistic forebears feeling cheated or offended. We motor on through his “variations” of El Greco, Poussin, Goya, Velasquez, Delacroix , Manet and Van Gogh making many stops on the way and as well as understanding something of the great problem (how does an artist find their inspiration?) we understand more about the artists he studies. Obsessive interest in the once and still shocking painting by Manet (Le Dejeuner sur l’Herbe of 1863) elicited 27 canvases and 100 drawings by Picasso. His passionate involvement with this work is evident in a large work shown here made in 1961 when Picasso was 80. We are amazed by the sexual energy in the Picasso re-working of the Manet. T’was ever thus. He inserts himself as the observer on the right, a habitual stance for him; in the guise of the lustful Minotaur; priapic Jupiter, or as the aroused artist and his passive model. We are confronted by tiny heads and bulging breasts and although I do worry about his ideas of Woman, who is often seen as a mere sexual prop, the primacy of these scenes is oddly authentic. The thrusting limbs and male and female sexual organs display Picasso’s habitual Spanish machismo. He seems comfortable with his world view, especially seen from the studio which sometimes acted as the bedroom. But Picasso leads us to think more deeply about Manet’s original, enigmatic picture. Why is the woman in the centre so big? What the hell is going on? What kind of a picnic is this? A painting from early 1500, Giorgione’s The Tempest, engaged Manet in its myriad levels of mystery. The implication that something very odd is about to happen is very powerful. Manet’s work engages Picasso. What is active in Giorgione’s arcane Renaissance iconography becomes in Manet a scene of sexual possibility, later transmuted into a post Freudian sexual anxiety by Picasso. 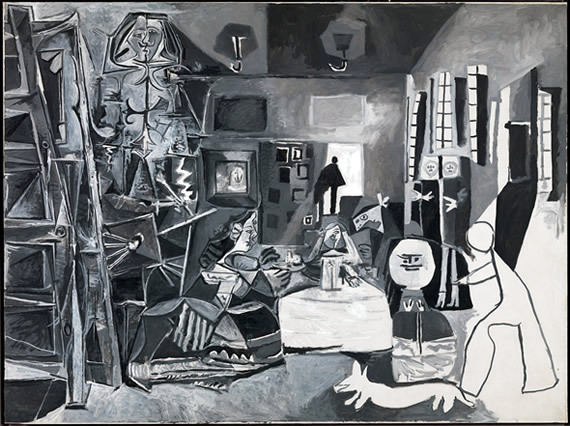 In the summer of 1957 Picasso worked on over 50 versions of Velasquez’s Las Meninas, another enigmatic painting, depicting the Spanish court of Philip IV of Spain in 1656. Again, it is the inherent strangeness within Velasquez’s masterpiece that is revealed in Picasso’s big painting from the Museu Picasso in Barcelona. The dwarf servant is cruelly transformed by Picasso into a moon-faced monstrous figure. The Infanta is a comic book child in her Cubist crinoline. The King and Queen glimpsed in the mirror are graffitied figures of fun. The elegant mastiff becomes a sketch of Picasso’s favourite dachshund Lump. The dignified looming figure of the artist in the foreground is no longer Velasquez’s elegant court painter but an Edward Scissorhands version of a double-profile Picasso. 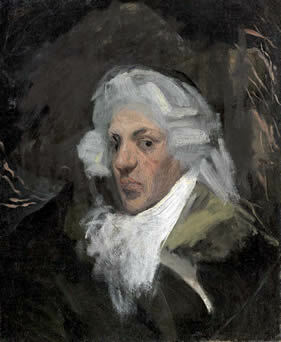 Self-Portrait with a Wig of 1897, painted when Picasso was 16 in the manner of Goya, is the earliest work in the show. This is a man who seems to gaze out of the canvas with a total conviction that he stands fore square in the history of art. He knows in 1897 that he belongs in the National Gallery of London in 2009. No doubt about that. Fame is awaiting him, but it will not devour him. The accompanying print show is not to be missed. Here, we see Cranach, Degas, Rembrandt and Manet studied, digested and transformed. As dextrous in the complex processes of etching, drypoint, lithography and even lino-cutting, Picasso takes on the masters of the genre. Both shows tell us that this brave, arrogant, disciplined, infuriating, voracious, self-indulgent, sexist, naive and all too knowing, humane, impatient, benign, cruel, generous artist challenges the past. More importantly he never stops challenging himself. Picasso: Challenging The Past, is in the Sainsbury Wing, National Gallery, Trafalgar Square WC2N 5DN until June 7. Picasso’s Prints: Challenging the Past are in Room 1. 020 7747 2512.